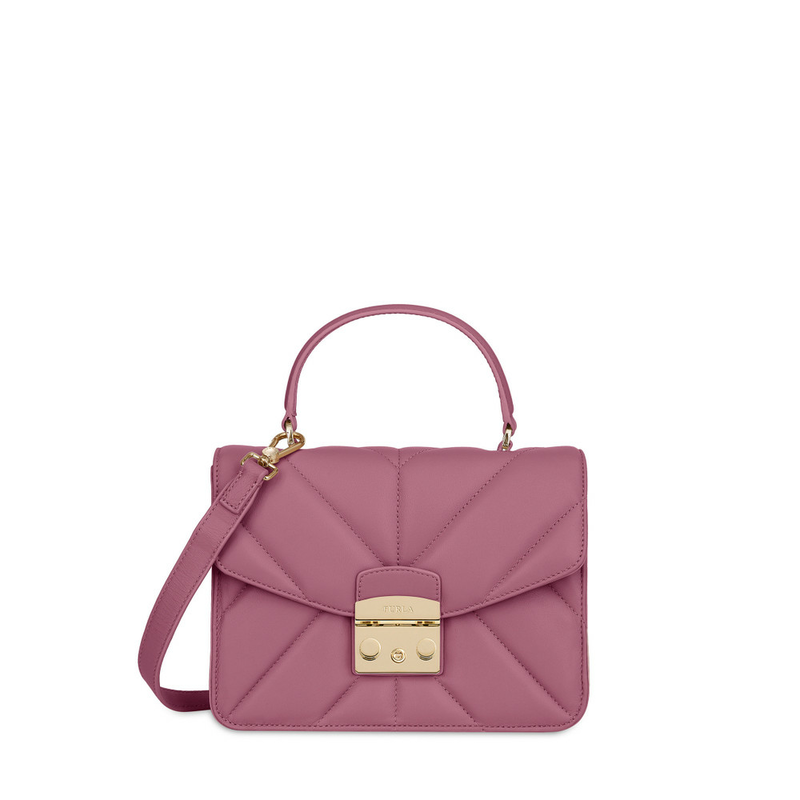 The Furla Metropolis handbag in quilted leather and compact volumes is the perfect accessory for every moment of the day. It can be worn as a crossbody bag thanks to the detachable and adjustable shoulder strap and comes with inner pockets for a perfect organization of the space. Orders placed before 1pm on weekdays will ship within 24h. Furla offers a two-year warranty on its products.